Silvia Creations Prototype Realborn reborn for sale on eBay. 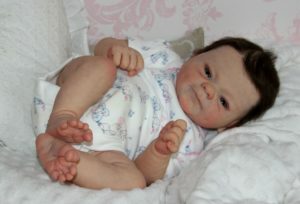 The proceeds from this auction will go to the ROSE International Doll Expo. The goal of ROSE is to bring the reborn community together and provide an exciting and enjoyable venue for doll artists, dealers, manufacturers, and collectors all over the world! ROSE also aims to provide friendships to develop and grow by helping connect the artists and dealers with the collectors. ROSE has come a long way, but still needs your support. 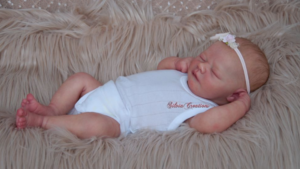 Your bids on sweet Brooklyn will help make ROSE 2019 the best year yet! Thanks Bountiful Baby for giving me the opportunity to work on Brooklyn, she has the most beautiful face! Brooklyn is not a toy so she’s not suitable for children. She’s a heirloom collection piece and she has to be handle with care. 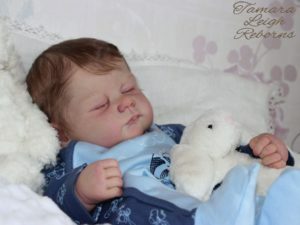 A Realborn© is a Real Baby Replica, created directly from computer photometric scans of a precious real newborn baby. 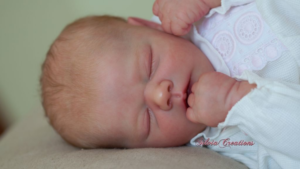 The beauty and innocence of the newborn child is captured like never before! 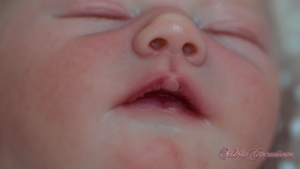 Virtually every sweet baby fold, wrinkle, and crease is captured with this technology to create the most beautiful and perfect canvas ever offered to the reborn world!. All my babies come from a smoke and pets free home. If you are allergic or not like perfumes or scents let me a note before I send the doll, otherwise they came with some perfume on the cloth body. Brooklyn is made of soft vinyl, she has full arms and full legs. Her arms are very bend like a newborn usually froggy poses. She came with a belly plate sculpted by Denise Pratt. She is on a cloth body specially made for her. Brooklyn was rooted with Light Brown Delta Dawn mohair, and the hairline is painted and rooted over it with Suri Alpaca in a light blonde color, so please be ultra careful with the hairline as alpaca is a very soft hair and altough the hair is sealed it is very delicate. Please be extra careful with headbands and hats. These fuzz rooted hair is sealed too from inside but excesively touch can make the fine hairs break. She has rooted eyelashes matching in the darker tone. Her hair is sealed from inside, so you can gently style it. To see this fantastic auction use the link provided below. Hi I’m very interested in in Brooklyn. 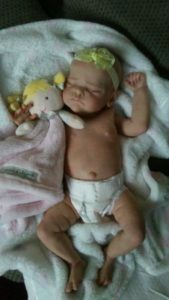 My daughter has been begging and begged for one this coming month is her birthday and I was hoping to find the perfect baby.